** Due to small numbers in the Territories, numbers were combined. Overall, 31% of children with appendicitis will have a perforated appendix. perforated appendicitis (30-31%). 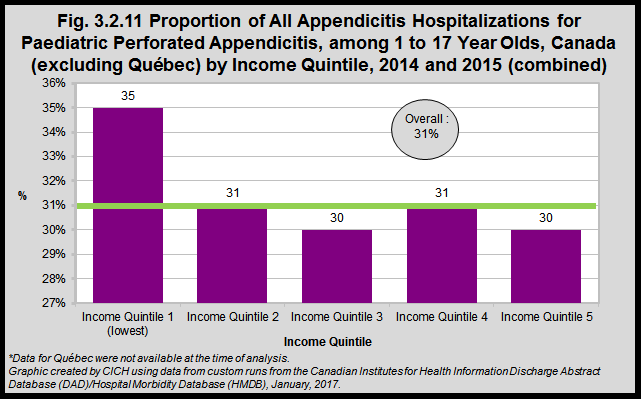 Children in the lowest income quintile are somewhat more likely to have a perforated appendix (35%), however children in the other four income quintiles have comparable rates (30-31%).